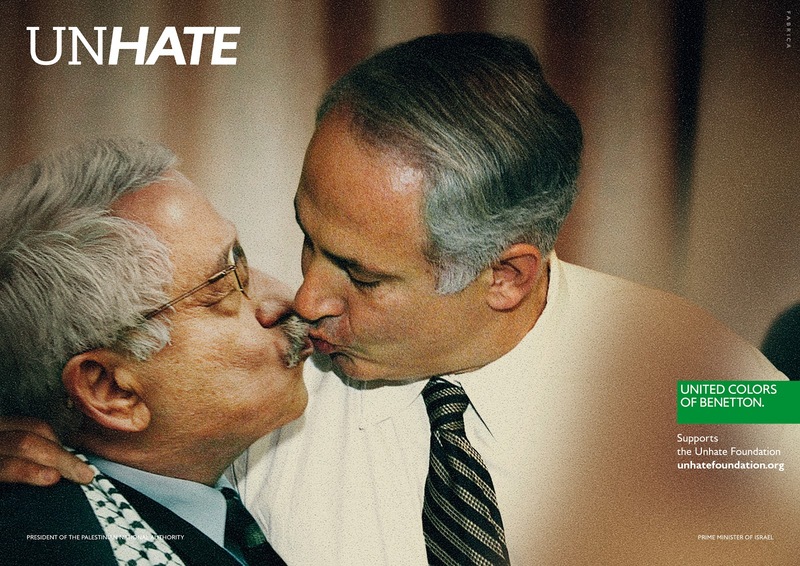 In the light of a recent reactivation of the terribly violent conflict between Israel and Palestine, I decided to give a re-post to this witty ad campaign of the Italian fashion brand Benetton and remind all of us how it is important to grow tolerance around the world. 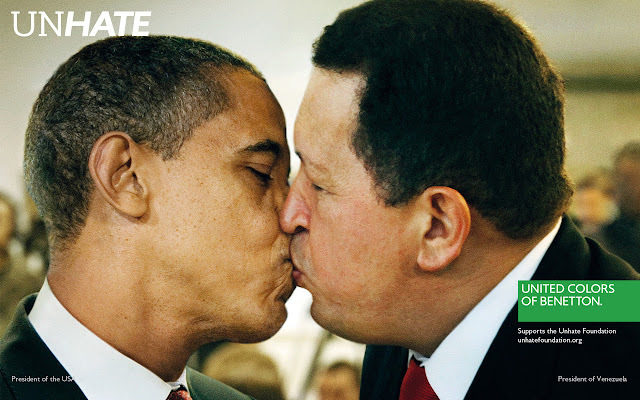 As a quick refresher, on 16th November 2011 Benetton eagerly launched so-called 'UNHATE' campaign, showing images of the world leaders like the Pope and U.S. President Barack Obama kissing their perceived enemies. The six notorious images were unfurled in Milan, New York, Paris, Tel Aviv and Rome on the bilboards, as well as got a broad coverage in the media and on-line. 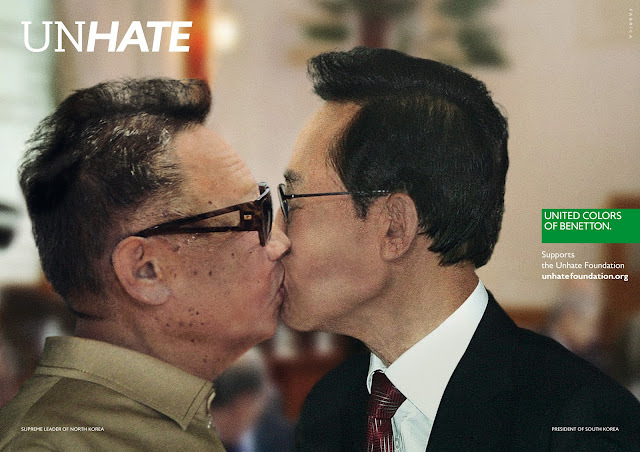 'UNHATE' campaign was aimed at fostering tolerance and global love. 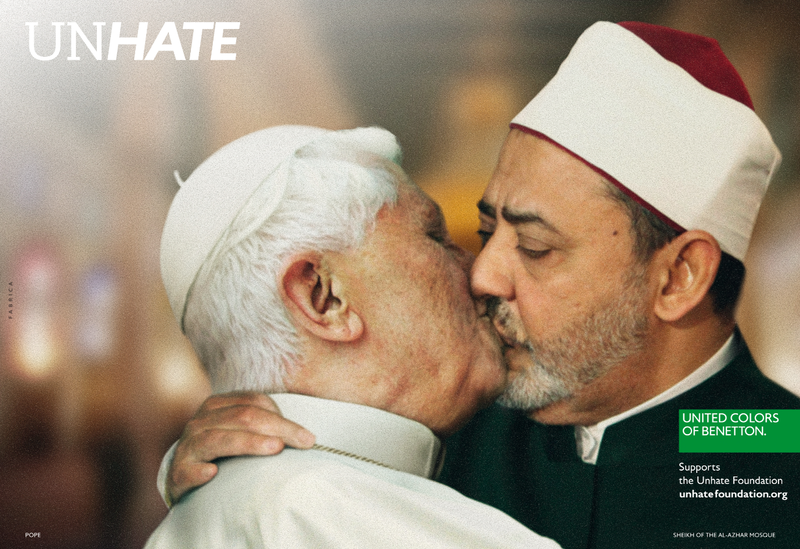 To note, this particular image of Benetton's advertising campaign has been called 'totally unacceptable' by the Vatican and has been withdrawn from the campaign in a couple of days after its launch. The official video of the UNHATE campaign tells of the precarious balance and complex interweaving between the drive to hate and the reasons to love. Worth to add, the UNHATE campaign won the Gran Prix of the International Festival of Creativity 'Cannes Lions' 2012 in the nomination 'Press Lions' with the visuals 'Palestine and Israel', 'USA and Venezuela', 'Germany and France'. So... Let's let fashion (and not only) UNHATE each other. 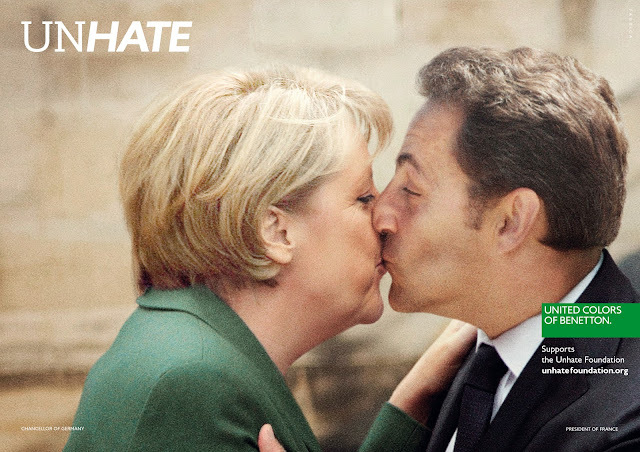 Let's do it with TESS rather than with blood, violence and uncountable deaths.